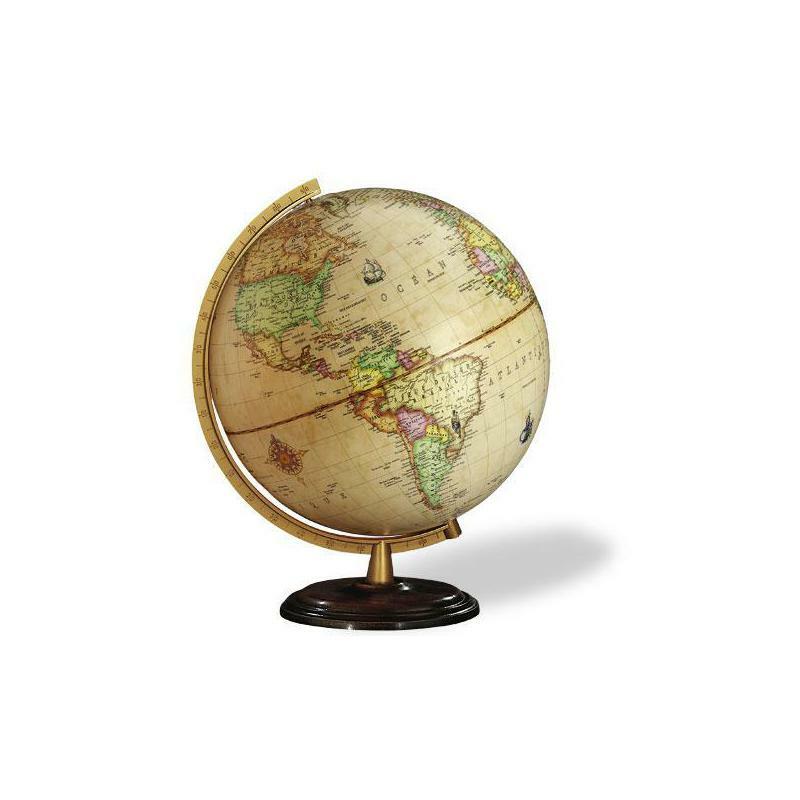 This elegant globe is mounted on a solid wood or metal base; it integrates the last geopolitical evolutions. 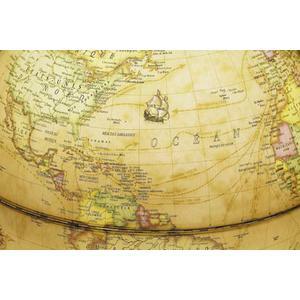 The map is thermo-welded onto an injected high strength poly-carbon sphere; it is practically unbreakable and unscratchable. It will keep its gleaming aspect for many decades. 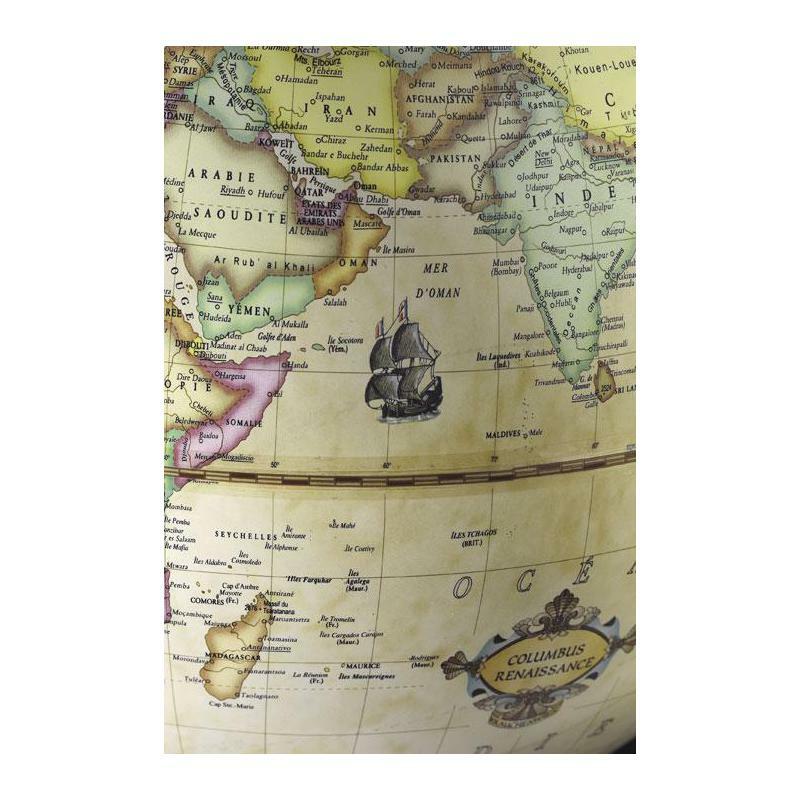 Style of the antique maps with the oceans in parchment colour, coloured borders around mono colour countries, a frigate, a wind rose, sea-serpents,...The illuminated map reveals the navigator routes from Christophe Colomb to Magellan. This map was carried out according to some 16th century originals by integrating the current borders. 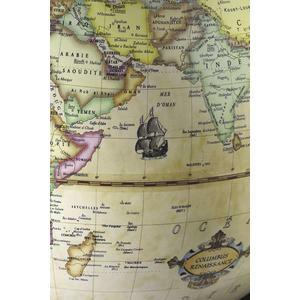 Its warm colours underline the traditional character of this globe. 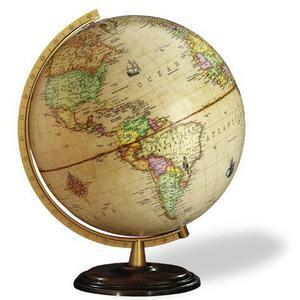 Columbus doesn't just print their globes; they strive to create an incredibly deep, flawless shine. It all starts in their state-of-the-art 'clean printing room', where their craftsmen work just with superior acrylic sheets. Bringing in all kind of papers is strictly forbidden, because it would bring in fine paper dust particles which could later be attracted in the printing process. Printing up to 24 successive layers of colors, there's a curing process between each layer, along with an inspection and careful cleaning. 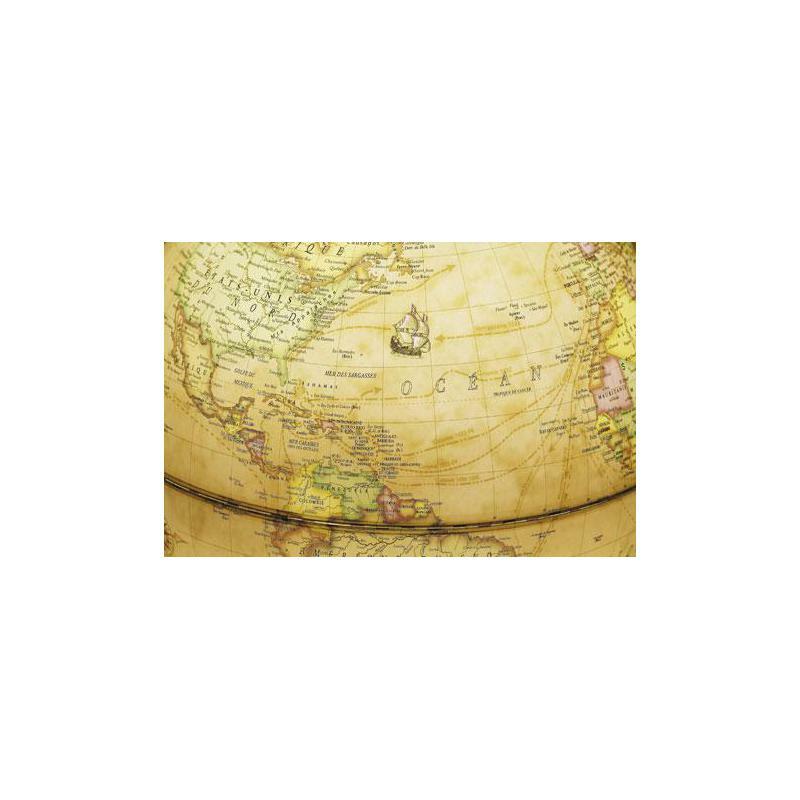 Once the printing is complete, a high gloss clear coat layer is applied over the entire map, then it is sent back for inspection to our cartographic department.